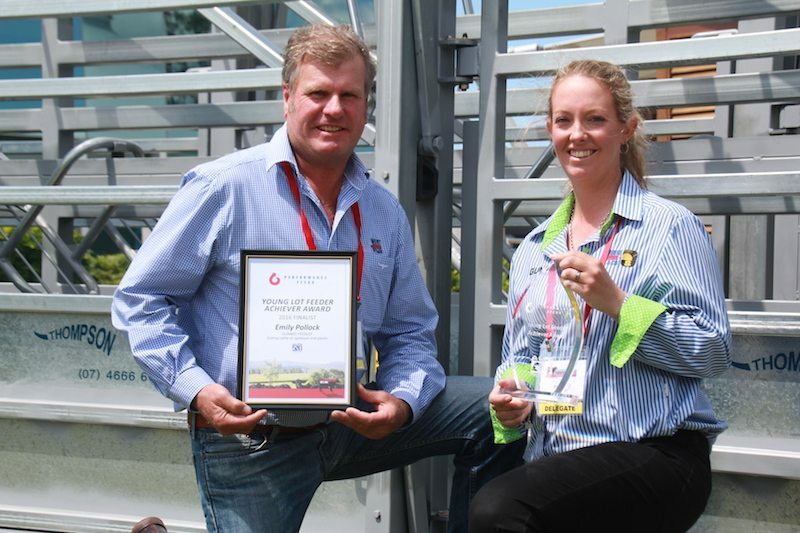 TWENTY-nine year old Emily Pollock from Gunnee feedlot near Delungra in northern NSW was judged 2016 Young Lotfeeder of the Year during the grainfed industry’s BeefEx conference on the Gold Coast last week. Employed is livestock team supervisor at the Gunnee feedlot near Delungra in northern NSW, Emily grew up near Armidale on a beef and fine wool growing property. 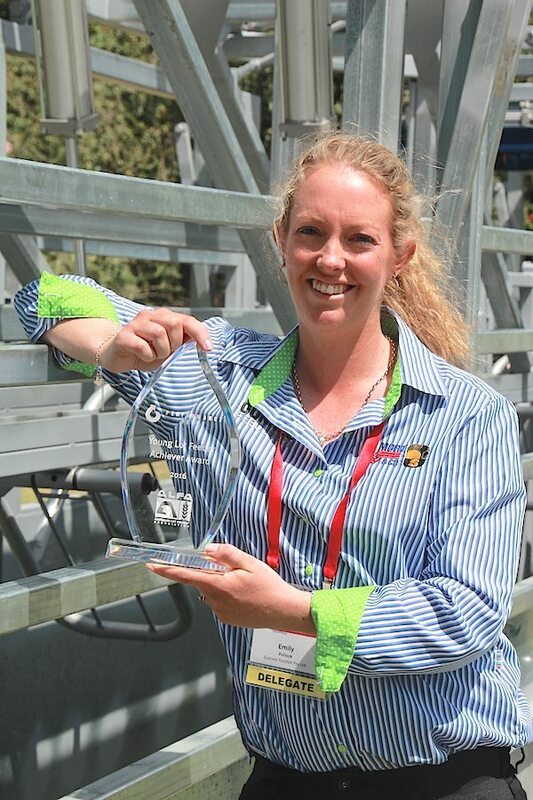 She joins a cohort of 22 previous annual winners of the Young Lotfeeder award, many of whom have gone on to senior industry positions in the grainfed industry. Seven have served at different times on the Australian Lot Feeders Association council. There were 12 applicants for the Performance Feeds-sponsored award this year, with selection based on a three-stage judging process. “The quality of the applicants this year has been extremely high, and it’s been a difficult process to try to determine a winner,” Performance Feeds’ Scott Schloss told last week’s conference audience. Emily said she had always had a passion for animal production, but professed that she had not always been exactly sure which part of the red meat supply chain she wanted to work in. “While I was at uni, animal health became a big interest of mine, and lotfeeding naturally brought those interests together. But having now worked in the feedlot sector for the past five and a half years, I’m determined that this is where I want to focus my career,” she said. Emily last year earned a bursary to attend the Margin and People Management program coordinated by ALFA, and this year took part in the Australian Rural Leadership Foundation’s five-day ‘Trail’ leadership program. She said she was encouraged by the number of young people who now appeared to be attracted to seek a career path in the livestock industry again. “Especially in the lotfeeding sector, there are a lot more career options available than what many potential candidates would have associated with the industry. I think that’s bringing though a lot more progressive, career-mined people,” she said. The development and adoption of technology and IT had played a big part in that. So where does Emily see herself in ten years? “I’d like to move through the ranks, but I definitely still see myself working in the grainfeeding industry,” she said. Her employer, Gunnee feedlot, is a joint venture involving Mort & Co and Sundown Pastoral Co, operating a 10,000 head yard near Delungra in northern NSW. The yard feeds mainly to export weights, and includes some custom-fed cattle for AA Co’s 1824 program.